The BOV Premier League first phase came to an end on Tuesday with the last two matches. At the Centenary Stadium, Hamrun Spartans came back from two goals down to earn a point in a 2-2 draw with Tarxien Rainbows. On the other hand at the Victor Tedesco Stadium, Floriana defeated Msida St. Joseph 4-2 in an entertaining clash. The point made no difference for Tarxien Rainbows as they will still start their Championship Pool commitments in sixth place on 13 points. In the Relegation Pool, Floriana start on top with 12 points, followed by Hamrun on 11 and Msida St. Joseph on 6. Hamrun Spartans came back from two goals down to earn a point in a 2-2 draw with Tarxien Rainbows. The Rainbows were clearly a better side throughout the first half and early after the break but the dismissal of goalkeeper David Cassar on the hour allowed the Spartans to get back into the game as they immediately converted a penalty, before notching the equaliser. Hamrun coach Steve D’Amato could not count on the suspended Marcelo Pereira and Diego Armando Cucciardi and the injured Jonathan Holland. Andrew Decesare was missing for Tarxien. The Rainbows had the first attempt at goal on the 4th minute when Mark Tanti received a through pass on the right and controlled before hitting just wide. 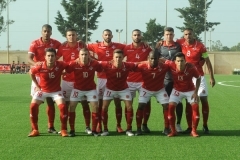 Tarxien took the lead on the 6th minute when off a perfect pass by Anderson Mendes Ribeiro, Denni Rocha Dos Santos hit low past goalkeeper Ivan Casha. Hamrun replied with a shot from the right by Joao Mawete which was turned into a corner by David Cassar a minute later. On 14 minutes, Denni crossed from the right and Anderson Mendes Ribeiro served Mark Tanti whose low shot was neutralised by Ivan Casha. Two minutes later, a diagonal shot from the right by Denni scraped past the post. Tarxien doubled the score on 25 minutes. Denni Rocha Dos Santos received a good pass by Mark Tanti and with a low shot from the edge of the area, he placed the ball at the back of the net. Steve Sadowski came to the rescue for Tarxien clearing the ball off the goal line following an inswinging corner by Clyde Camoin from the right on the 40th and in added time, Anderson Mendes Ribeiro had a shot from the edge of the area saved in two attempts by the Hamrun goalkeeper. Twelve minutes in the second half, David Cassar made a superb save on a great Ian Zammit header and a minute later, following a cross by Camoin from the right, Manolito Micallef’s header was deflected into a corner. Hamrun pulled one back on 62 minutes, Manolito Micallef was brought down inside the area by goalkeeper David Cassar. Referee Chris Lautier ordered a penalty and sent off the Tarxien goalkeeper although the red card seemed to be a rather harsh a decision. From the penalty spot, Ian Zammit made no mistake, beating Anthony Curmi. Hamrun increased the pressure and five minutes later, the Spartans notched the equaliser when off a perfect pass by Ian Zammit from the right, Joao Mawete slammed the ball home from close range. A fine shot by Ian Zammit from the right then hit the upright on 76 minutes. 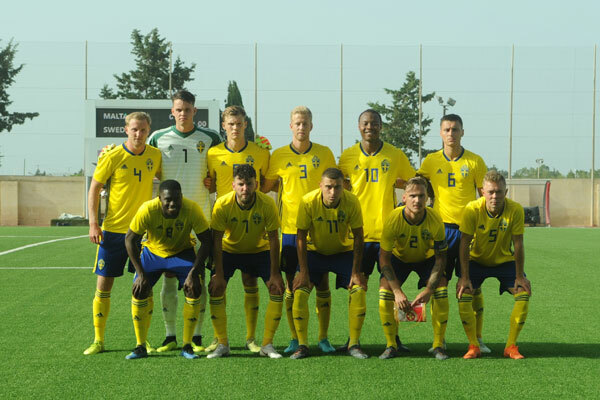 HAMRUN Ivan Casha, Mark Anthony Bonnici, Rupert Mangion, Roderick Fenech, Manolito Micallef, Lee James Agius, Gaetan Spiteri (90‘ Mark Barbara), Martin Hrubsa, Joao Mawete, Clyde Camoin, Ian Zammit. Subs not used: Andrea Cassar, Aaron Attard, Glen Azzopardi, Neville Galea, Kyle Calleja. TARXIEN David Cassar, Steve Sadowski (69‘ Kurt Magro), Manuel Caruana, David Camilleri, Everton Antonio Pereira, Anderson Mendes Ribeiro (83‘ Gianluca Calabretta), Mark Tanti (61‘ Anthony Curmi – gk), Luke Vella Critien, Denni Rocha Dos Santos, Ryan Mintoff, Justin Grioli. Subs not used: Warren Zerafa, James Shead, Ryan Grech, Lee Galea. Floriana defeated Msida St. Joseph 4-2 in an entertaining clash to make sure of starting the Relegation Pool six points ahead of the Saints. The Greens lacked Clifton Ciantar and Pablo Doffo besides Luke Agius, Owen Bugeja, Sunday Eboh and Christian Cassar. Msida, on the other hand, welcomed back Lydon Micallef. Msida took the lead on 12 minutes thanks to a great direct free kick by Tyrone Farrugia who gave Bernard Paris no chance. Floriana levelled matters seven minutes later when off a Sacha Borg corner, Ryan Darmanin headed home from close range. One minute from the end of the first half, the Greens forged ahead when Matthew Borda slipped to let in Ryan Darmanin whose fine rising shot beat Manuel Bartolo. Ryan Darmanin made it 3-1 on the 80th in a counter-attack for the Greens and three minutes later, substitute Victor Zlydarev increased the lead further. Msida scored a second goal three minutes from time when Emiliano Lattes surprised Bernard Paris with a cute lob. The game was not over yet as four minutes in added time, Victor Zlydarev was sent off by referee Marco Borg. 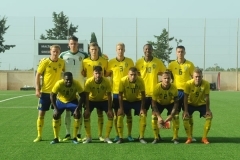 FLORIANA Bernard Paris, Julian Briffa, Orosco Anonam, Joseph Borg, Jermaine Brincat (72′ Stefano Grima), Stefan Lijeskic, Brian Said, Sacha Borg, Mark Spiteri (58′ Clyde Borg), Christian Caruana, Ryan Darmanin (82′ Victor Zlydarev). Subs not used: Jurgen Borg, Alan Abela, Russell Marmara. 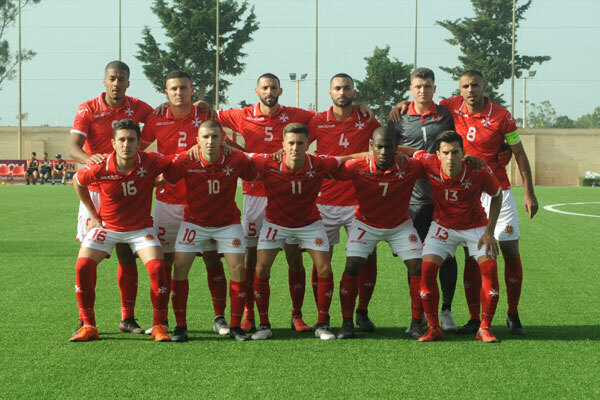 MSIDA Manuel Bartolo, Adrian Farrugia, Matthew Borda, Tyrone Farrugia, Roderick Baldacchino, Zoran Levniac (89′ Iro Curmi), Lydon Micallef (68′ Adam Spiteri), Kevin Mifsud, Miguel Ciantar (79′ Andrew Formosa), Emiliano Lattes, Ndayi Kalenga. Subs not used: Gallen Mifsud, Baldassare Borg, Charlie Black, Vincenzo Brincat.